There was a lot of sweat & a lot of fun today. My 6yr old and my niece spent an hour doing workout videos. 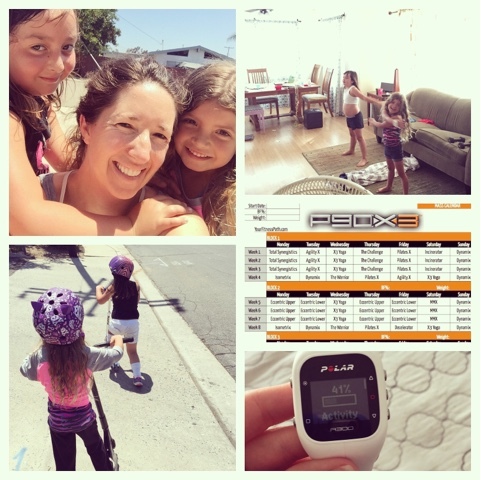 My daughter wore my polar watch and earned 41% of my daily activity. I did my own without & then they wanted to scooter. So out we went for 1.5 miles. My apologies to the neighborhood because I was in "workout at home" clothes, not normal running clothes. Summer is off with a bang!